Don’t have time to hit the gym? You can get fit even at home. People have the misconception that for building a good body, you got to join the gym. Well, that’s partly true. For those who aspire to build their body for fitness pageants or for profession or business, it’s necessary to hit the gym to get that perfect body. 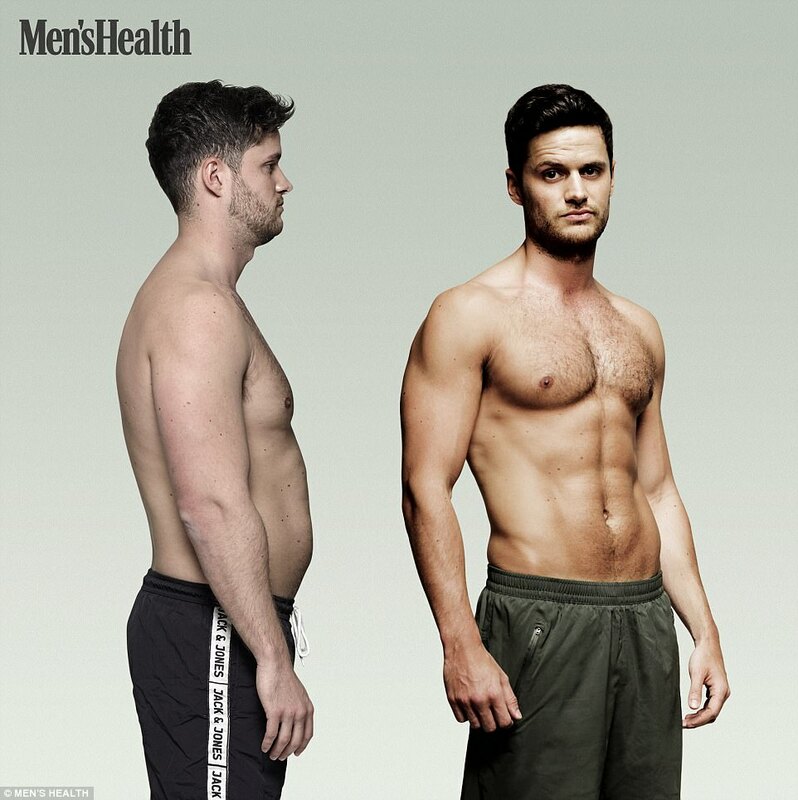 But if you just want to achieve a good body and muscle shape and maintain it, then you can do it even without hitting the gym. For that to happen for a long time can do the same at home just doing a few bodyweight exercises. Fitness is not just about biceps or triceps, it also means a fit torso, low body fat level, and a firm chest, for which there are different exercises that you should do. The most challenging is to get rid of chest fat and get a good muscular chest. So here are a few best chest exercises at home. When you think about getting a perfect chest, your mind naturally drifts towards the classic exercise bench press. No doubt it’s a great exercise but if you are solely depending upon it, you won’t get the desired result. Rather you should focus more chest toning exercise. You don’t need to go to the gym for this, you can do this at the comfort of your own home. You don’t need to invest in any dumbbells or barbell or any other expensive equipments to do it. These exercises are perfect for building strength and for a nice shaped chest at an affordable price. Here we have categorized it into two parts, one is for beginners and the other is for a more higher level. Let’s start with the basic exercises for beginners. There are many variations of push-ups that can help you build a perfect chest. But for beginners, the regular push-up is the best option. Initially, it will help you build strength and gradually with time once you get the core strength you can start with the variations. Here’s a step by step tutorial for push-ups: A regular pushup is probably one of the best chest exercises at home. Lie face down with your hands on the floor. Straighten your back so that your feet and your shoulders create a straight line. Bend your arms down to a 90-degree angle and straighten them out again. Raise your torso higher and lower in slow, steady motion. Avoid lowering your chest too close to the ground. Lowering the chest too close to the ground can tear muscle tissues in the shoulder. For beginners, do repetition as many times as you can. If you don’t have the strength, in the beginning, we would recommend do the pushups with your knees on the floor. This exercise majorly works on the mid part of your chest. Inclined pushups are none other than regular pushups where you need to elevate your body by anything such as table, chairs, or desk where you rest your hands against. Lay down with your face down with your hands on the table. Position your hands slightly wider than shoulder-width apart, with your toes on the floor. Raise your torso and lower your body with a slow and steady motion. While lowering your body don’t let your chest touch the table. Keep it 2 inches from the table. Repeat it as many times as you can. This exercise majorly works on building the upper part of the chest. To make the chair stable keep it against the wall. Do repetition as much as possible. This exercise majorly hits the lower part of your chest. When you have been doing the basic pushups for a period of time, you will see that the results are to your liking. Once you gain strength on your arms and feel your chest muscles being developed. Then for a better result, we would recommend you to involve some higher level chest exercises that we get to soon. These will not only help you to get your desired chest shape but also increase your core strength. A diamond pushup is a pretty advanced form of push-ups that is very difficult to master! In this classic exercise, you place your hands in a diamond/triangle shape, lower yourself to the ground and push back up. This exercise targets your chest as well as your arms. You will find your arm muscles tighten during this workout. Try to do it on a yoga mat, which will slightly cushion your hands. Face the mat and stretch out your arms and legs a bit. Position your hands under your chest and make a diamond shape with your forefingers and thumb. Keep your back straight and lower your chest to the ground and then push up. Do at least 3 sets with 10 reps each. It’s a variation of regular pushups where you leave the floor and slap your chest, then get your hands back down quickly. Never try it unless you have enough strength on your hands. Starting with a regular top pushup position and drop your chest down. At the end of your drop use your stretch reflex to explode your body upwards. Leave the ground and slap your chest before returning your hands to the start position. Keep doing it for at least 10 reps and 3 sets. Lastly, we have yet another pushup variation in one of the best chest exercises at home. This is another variation that can be a bit challenging that you can add to your routine at an advanced stage. This exercise helps define your core, especially your obliques, the muscles on the sides of your torso. Come into plank position (top of a push-up). As you lower your chest, draw one knee in towards your elbow. Pause for a second, then press back up. Do it for 3 sets with 10 reps. So these 3 exercises are the best for Pros, however, for better results, these 3 should be incorporated with the basic ones. Apart from pushups and the variations, there are few other exercises that can be considered best chest exercises at home without any weights. For these exercises you need a small investment, you have to buy a resistant band according to your strength. They come with 3 variations, basic(13-15kg), medium(18-20kg) and pro(22-25kg). Here are a few exercises with resistance bands that will help you to sculpt your chest effectively without going to the gym. Some people may wonder how they can do chest strength workouts at home. Yes, it is possible. Here is how you can tone your chest without going to the gym and getting the same result and even better. Find a highly stable object or wall which can hold enough pressure of your body. 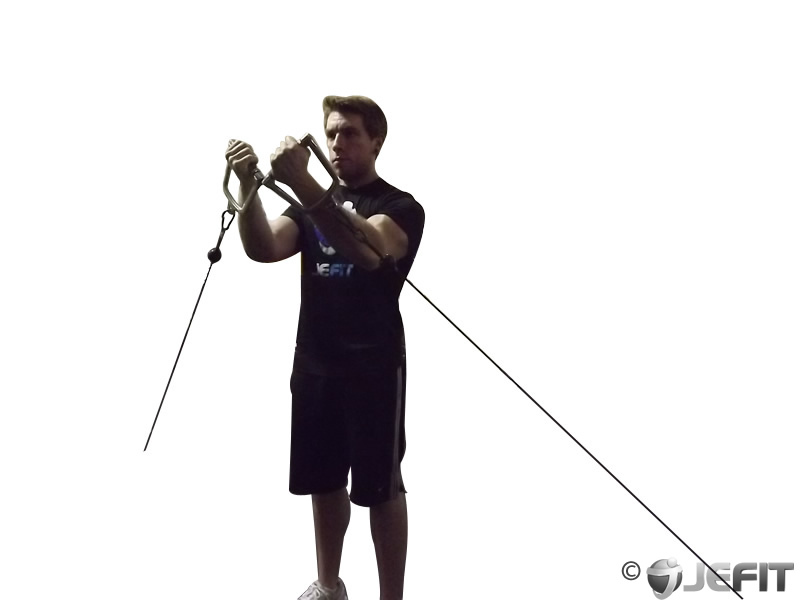 There should be some hooks to loop your resistance band on. And that hook should be at a higher position from your shoulder. Make sure the band is divided in a balanced way. 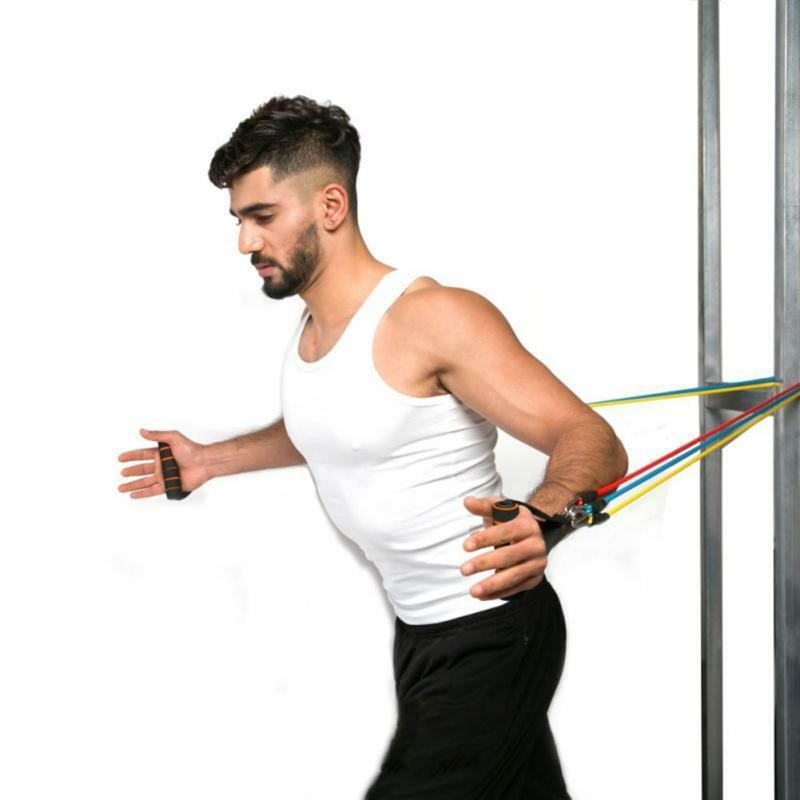 Pull the handles of the band down in a wide arc until your hands meet in front of your midsection. Pause for a second, squeeze your pecs together, then slowly return to the starting position. 3 sets with 8-12 reps. Similar to the first one, and this is also another exercise with the resistance band that is on our list of best chest exercises at home. This is the same as the high cable crossover, but the position of the hook should be at the same level as your shoulder. Here is the step by step guide on how to do it right. 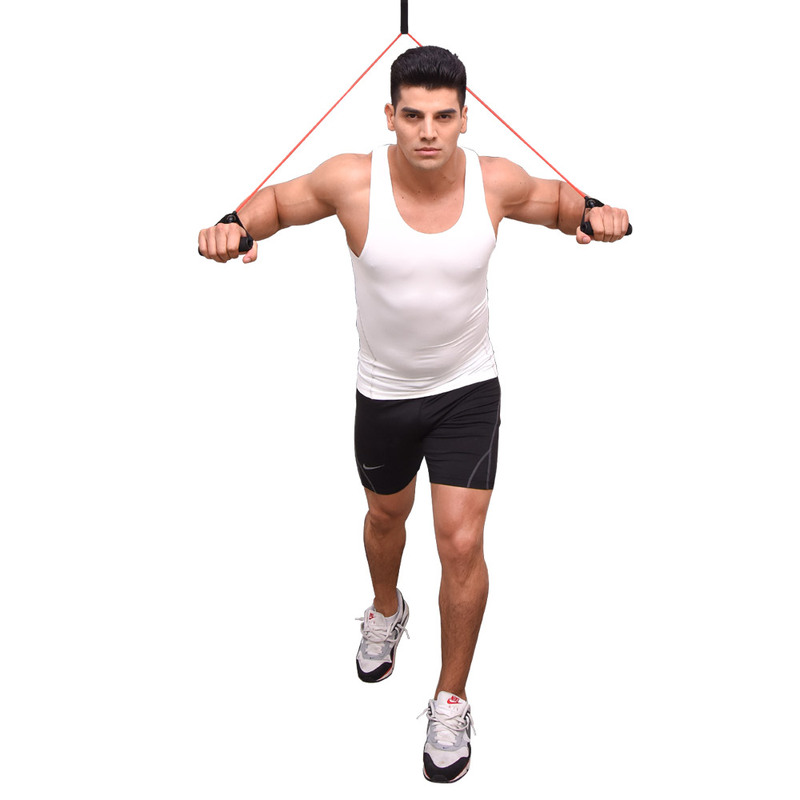 Loop your resistance band on the mid-level hook. Hold each handle of the band in each hand so it is spread out to the distance of your arms. Keep your arms straight but make sure your elbows are not locked. Your arms should be placed below the shoulder level. Bring your arms forward so your hands meet in front of your chest. Pause for a second, then slowly return to the starting position. Do it for 3 sets with 8-12 reps. Attach the band to a low hook. Hold the handles of the resistance band. Bring your arms up in a wide arc until they’re in front of your face. Squeeze your pecs together, then slowly return to the normal position. Repeat it for 3 sets 8-12 reps. These are some affordable chest exercises that you can do at home! There are many other chest workouts that you can do, but these are the best chest exercises at home shortlisted that are time-saving and give you the best results in a short period of time! So don’t worry about missing the gym, you can have a fit body even by staying home!